One of the best parts about living in “the future” is that we’ve got some of the coolest technology available to help with virtually any household task. Forget if you needed eggs at the market? Your fridge can tell you! Need to make sure that the house is nice and warm when you pull in the driveway? Just ask Alexa to kick on the heat via your telephone app. Tired of chasing your pets with a Dustbuster in order to keep hair from scattering everywhere? There’s a Roomba for that! There’s a variety of robotic vacuums on the market, with various designs aimed at particular problems in typical homes. But do you even need one? And how do they compare to a traditional canister vacuum? A lot of people are finding themselves looking at robotic vacuum cleaners (that still top out around a thousand dollars or so) and wondering if they’re better than a good upright vacuum. Cleanable surfaces. While similarly equipped robot and traditional vacuums will clean the same surfaces, robot vacuums tend to choke on deeper pile carpet. They may get stuck on area rugs or end up disoriented while moving across different textures. Newer robotic models actually get “frightened” when they encounter flooring with dark areas because it basically thinks it’s approaching a drop-off like a stair. Robot vacs do much better on evenly colored hardwood floors, though. Deep cleaning. Consumer Reports also probed the ability of the robot vacuum to clean deep down into carpets. They’re not that great at it, as it turns out. Despite about 15 years of market exposure and evolution, most of the robot vacuums out there still aren’t that bright. Sure, they can usually find their way back to their chargers before their batteries die, but if they happen to pick up a toddler’s dropped PB&J, you can pretty much count on that sticky sandwich being rubbed all over the house. Obviously, a traditional vacuum doesn’t have to worry about this at all since the probability of you running over a jelly sandwich is less than that of a robot. Although they seem at odds, these two tools are actually complementary. Robot vacs help reduce regular cleaning, especially in the situations above. 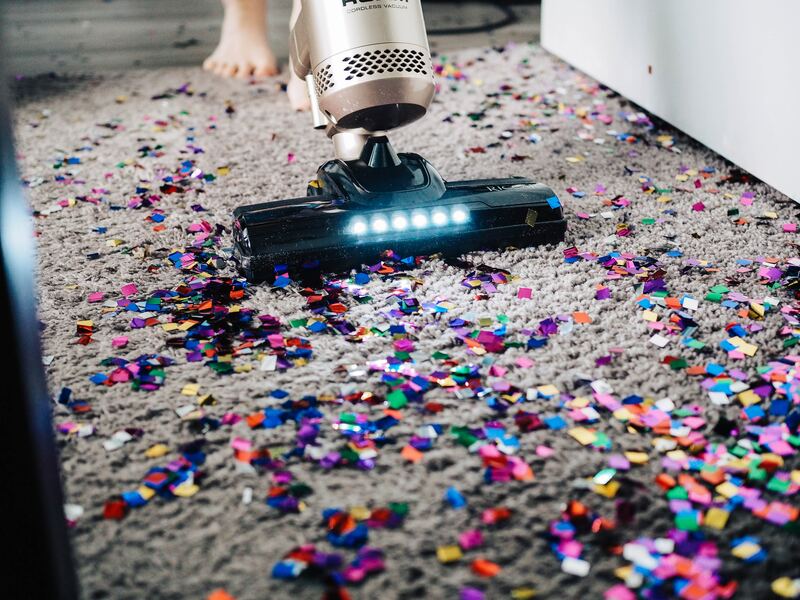 They can keep the floors clean day to day, then you can run the big vacuum across your carpets on the weekend. It’s a harmonious relationship, really. You really can’t go wrong with either—so we’ll call it a wash in the great robot vac debate.